Facebook Suing To Control The Word "Book"
When you are a multi-billion dollar company with about a thousand questions about privacy issues, a reputation that is losing its luster and a major movie coming up about the questionable means by which the company was launched, do you really want to be trolling for more bad publicity? You know, like picking on a tiny niche site that has yet to even launch? That is exactly the situation right now at Facebook as it is taking aim at a site for teachers that is nearing launch named Teachbook. If others could freely use ‘generic plus BOOK’ marks for online networking services targeted to that particular generic category of individuals, the suffix BOOK could become a generic term for ‘online community/networking services’ or ‘social networking services. Here’s my issue with this concept: How many airlines use the word “Airlines” or “Airways”? The first airline to use “Airways” was Chalk’s Ocean Airways founded in 1917 and did not cease operations until 2007. The first company to use “Airlines” was Czech Airlines founded in 1923 and is still in operation. Now think about how many times you see those two words in association with various airlines and you’ll start to see why Facebook’s claim makes no sense. Essentially what Facebook’s lawyers are saying is that any website that tries to launch with the word “BOOK” in its name infringes on their copyright, but there is legal precedent here of companies operating in the same industry sharing a generic last word. Do I think Teachbook is totally innocent? Nope, not by a long shot, I totally think they are trying to ride Facebook’s coattails a bit, but I also think the law is more on their side than Mark Zuckerberg’s. Oh, and by the way, it appears that the company may also go after the word “Face”. Anyone want to place bets how Steve Jobs will react if Facebook attacks over FaceTime? I’m going to that trial just to watch the public spanking of Zuckerberg. What say you? 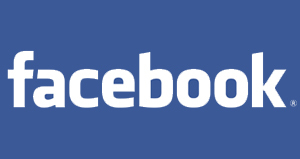 Should Facebook be able to stop sites from opening that use the word “BOOK”?